After spending nearly a week in the deserts of West Texas and over a month traveling across Texas, we were ready to get to the next state: New Mexico. To spend more time in the desert. 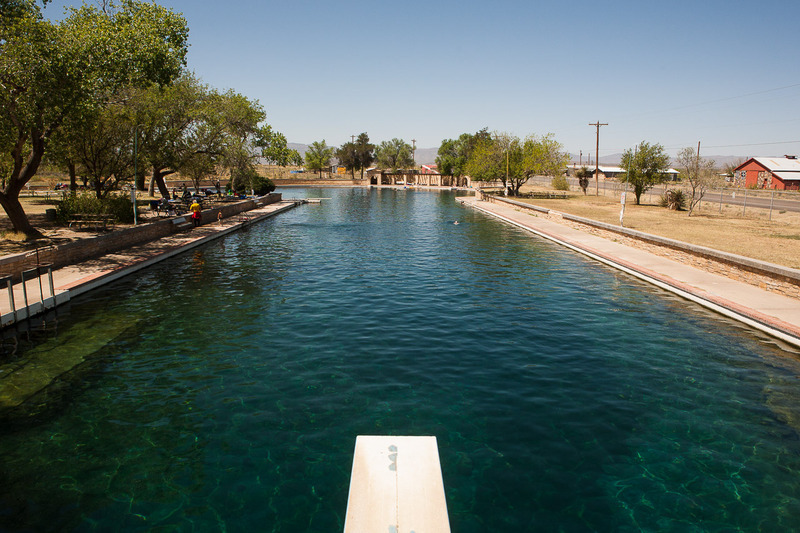 We got a last-minute suggestion from Stefan H. to stop at Balmorhea State Park to go for a dip in the natural, spring-fed pool. It happened to be on our way up to New Mexico and we had a weeks-worth of sweat and dust caked on our sun-burnt skin; we were going swimming! Balmorhea is a 435-person town that sits on the flat plains just north of the Davis Mountains. 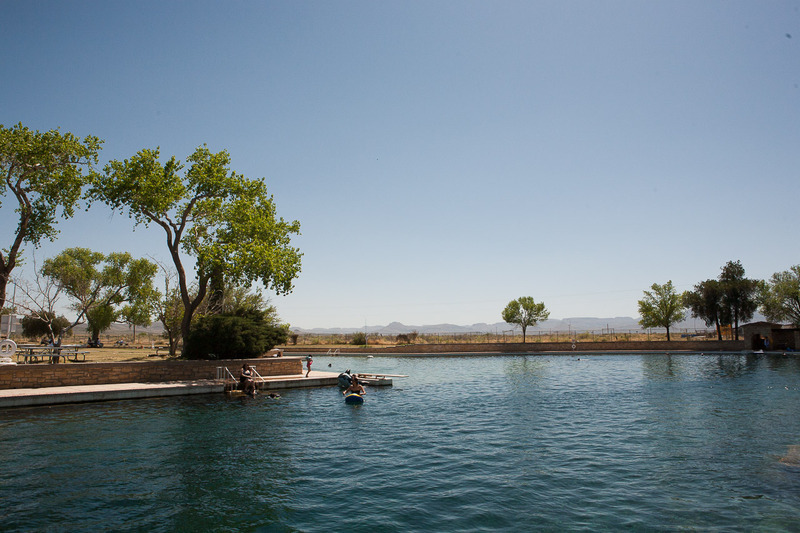 It's not much to look at, but when we arrived at Balmorhea State Park and caught that first glimpse at the giant oasis-like pool, we turned into giddy school girls. And at seven dollars per person to spend the whole day swimming, the price was right. We parked Loretta, changed into our bathing suits and unfortunately had to leave Bulleit behind (no dogs allowed at the pool). We quickly discovered that this is no average swimming hole. Built around the San Solomon Spring in the 1930s, the swimming pool is nearly two acres in size, making it the world's largest spring-fed pool. This mega-pool holds 3.5 million gallons of spring water, which stays at around 74 degrees (basically the perfect temperature) all year. Because it's an active spring, up to 28 million gallons of water flows through the pool every day. The sides and bottom of the pool have been kept natural and rocky, with the depth ranging 3 to 25 feet. Little minnows swim freely through the pool, tickling your toes, along with larger catfish that meander slowly along the rocky edges. There's two diving boards, one nearly eight feet above the water, with a steady stream of kids and adults alike leaping off the high board, showing off with flips, jumps and dives. This was easily the best place we had ever been. It was paradise in the desert. A real legitimate oasis. First thing we both did: jump off the diving board. Always the best way to introduce yourself to a body of water. The water was cool and refreshing, but not shocking or unpleasant. Perfect, basically. I could feel the water moving around me as it rushed from the mouth of the spring, through the pool, and out the other side towards the cienega (a kind of desert wetland). There's a rocky ledge along the edge of the pool about three feet underwater to rest on. 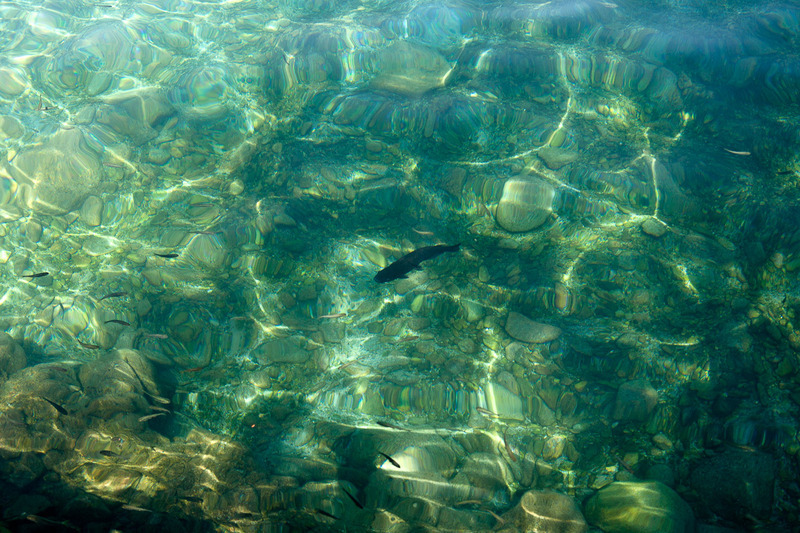 Through the crystal clear spring waters, I could see little schools of minnows swimming up to me curiously and dart away as I tried to grab at them. 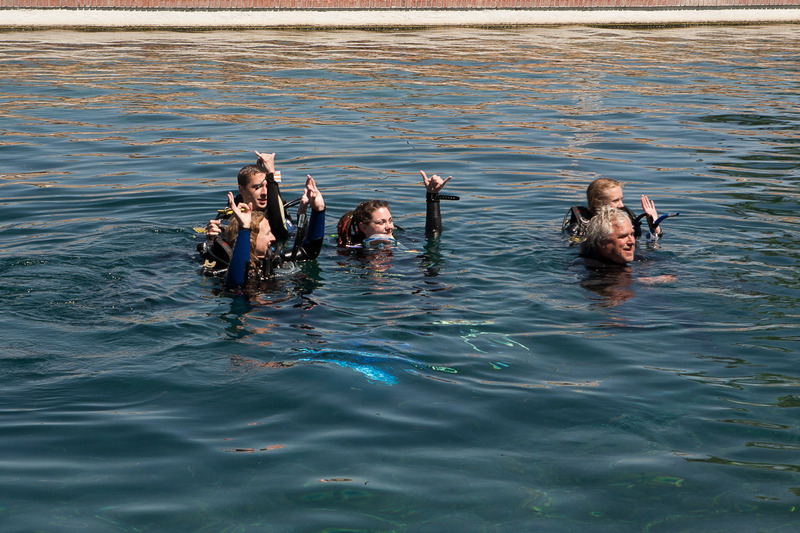 At the other end of the idyllic pool, there were two groups of swimmers donning scuba gear; the clear deep waters create the perfect environment for scuba training. It was a little strange to think that there were schools of people lurking below the surface learning how to breathe underwater, while I was leisurely swimming above them, self-consciously making sure my bathing suit top was covering everything it was supposed to. We spent the afternoon jumping off the high dive (no diving, we could barely bring ourselves to plunge head-first that high up), slowly swimming from one end of the pool to the other, and making friends with a group of guys from Austin who were on their way back from a camping trip at Guadalupe National Park. We couldn't bring ourselves to leave, but our rumbling tummies were saying "Feed me! ", so we ate lunch and then spent another hour or so frolicking in the pool. We seriously considered staying the night at their well-kept, Spanish-style campground, but decided it would be better to continue on to New Mexico. 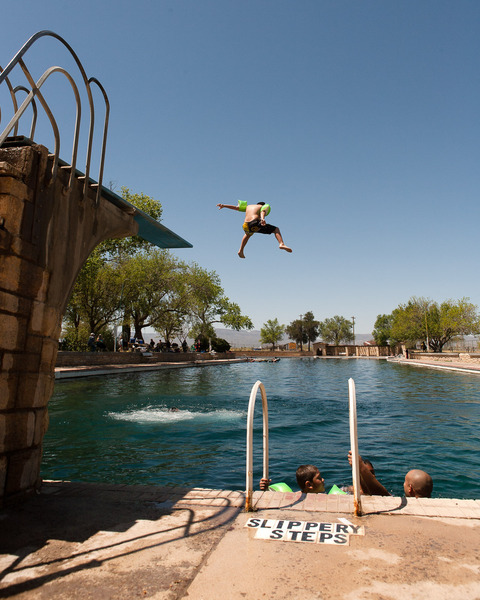 if you ever find yourself within an hour of Balmorhea, Texas, you must go to the San Solomon Springs at the state park. I'm not giving you a choice and you'll thank me for it. It may not be as natural as the swimming hole in Krause Springs, but it was, hands down, the best swimming spot we've been to. Special thanks to Stefan H. (who suggested Cool off and wash off dust from Big Bend Country) for making this blog post possible!